ProEcza Creams to treat Dermatitis & Eczema :: Shop.Qbased.com :: ProEcza is strong enough for even the worst cases of Eczema Rash, yet safe for children. 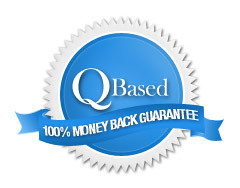 Eczema Creams for Eczema Symptoms are priced comparable to other Eczema products. How Do Our Dry Skin Treatment Creams Work? ProEcza Eczema pack can be used for mild to severe cases of Eczema. Each product in the Eczema System has it's own purpose. Some products repairs and heals while the others moisturizes and heals the skin while offering immediate Eczema relief. Safe for children and sensitive skin. This Eczema pack offers the complete Eczema solution even for the worst cases of eczema. Read more by clicking on the pack; see what we can do for you. To learn more about Eczema Symptoms, what our customers are saying about our Eczema Treatments and what our Cream for Eczema can do for you, visit our Eczema and Dermatitis page. 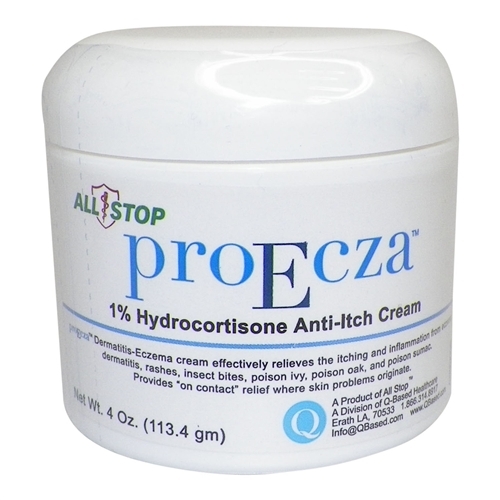 ProEcza is one of the most effective Eczema Creams on the market. It's Proven to quickly relieve itching and inflammation from eczema, dermatitis, rashes and even irritating insect bites. 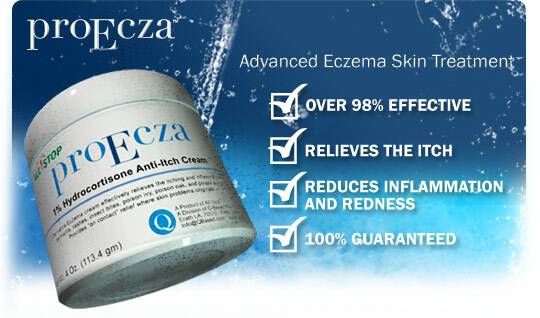 ProEcza Eczema Creams Provides "Quick" relief where dry skin problems originate in seconds without stinging! Our ProEcza Eczema Creams contains 1% Hydrocortisone Anti-Itch Cream and offers healing & soothing results for dry skin. Many Eczema Creams don't provide the safety of no side effects. With ProEcza Eczema Creams, rest assured you will own a safe Eczema treatment for children and the elderly. Our Eczema "System Kit" includes products to heal the skin from the scratching, relieves the itching and controls Eczema & Dermatitis outbreaks. When used with our Medicated Body Wash and Healing Spray, you're equipped to tackle the worst cases of Eczema. Many dermatologists and pediatric Clinics use our ProEcza Eczema Creams all over the US and it's known as the best and safest over the counter Cream for Eczema. Let us show you how! The ingredients in our ProEcza Eczema Cream were specifically included in the formulation for their moisturizing and healing properties. We specifically wanted to heal eczema symptoms from inflammed dry skin. Even if you've become resistant to other Creams for Eczema, you'll see a noticeable difference with ProEcza. Hands Down.